First Light on Old Faithful. 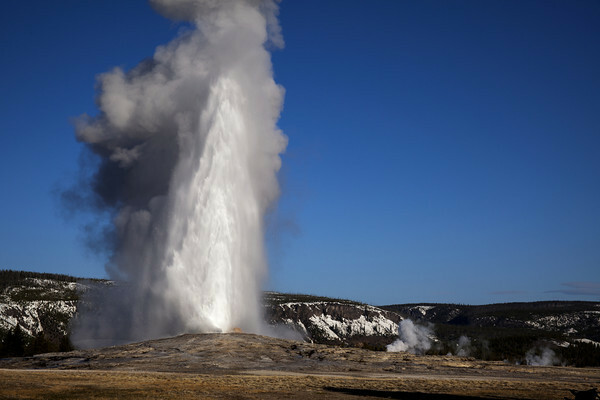 Old Faithful is a cone geyser located in Wyoming, in Yellowstone National Park. It is the most predictable geographical feature on Earth erupting almost every 91 minutes.